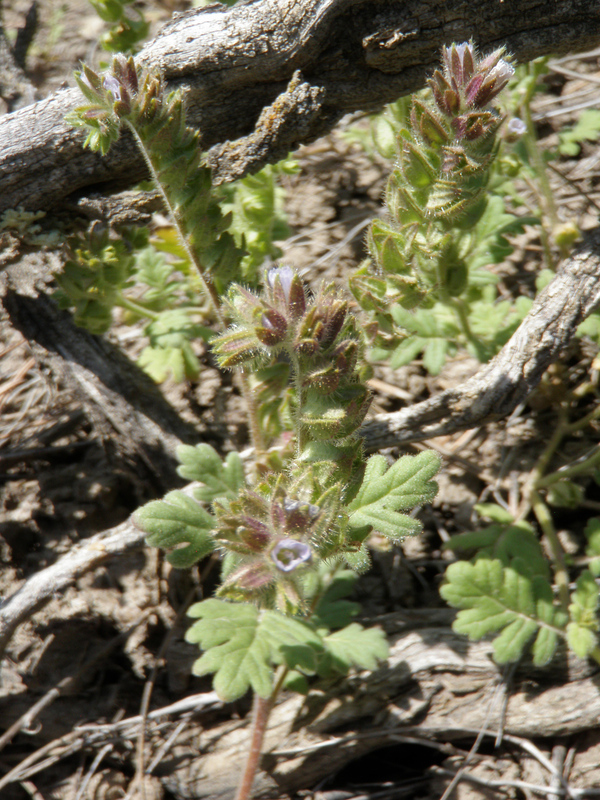 In June 2010 BIO-WEST’s restoration technician Travis Taylor uncovered a population of hot spring phacelia (Phacelia thermalis), a rare plant, at Fort Peck Lake, Montana, in the Pines Recreation Area. Approximately 180 individuals of the Bureau of Land Management (BLM) listed sensitive species were documented during the find, which was part a U. S. Army Corps of Engineers (USACE)-funded project to inventory natural resources on USACE-managed lands surrounding lakes along the Missouri River. Though the plant is only protected on BLM-managed lands, it is likely that its discovery at Fort Peck Lake will affect the USACE’s future management decisions.